G.W. Carver receives Academic Growth Award! 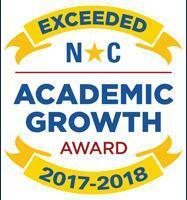 During the 2017-18 school year, we EXCEEDED GROWTH! We are proud of the dedication & hard work of our students and teachers!